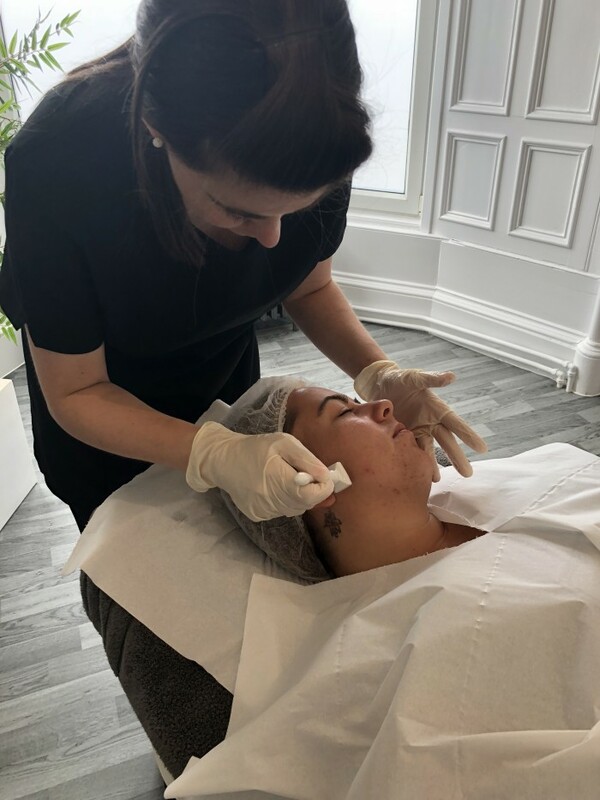 When it comes to beauty treatments there is certainly no shortage of weird and wonderful experiences promising everything from complete relaxation to the skin of a ten year old! In the past few years alone we've had Kim K's vampire facial, sheep placenta hand rejevenation and snail secretion skin cream - how does an 'ordinary' (read Perth based person with non-celeb budget) lover of all things beauty keep up? Well, when it comes to the newest facial treatment to hit UK spas, the answer is 'with a trip to Tay MediSpa for an incredible AQ Facial!" Located on Perth’s Glasgow Road, Tay Medispa is the only spa in Scotland currently offering this incredible recovery treatment. I caught up with Michelle, the only trained Perth based therapist for the treatment, and Louise from AQ Skin Solutions to find out more. AQ Skin Solutions was founded in 2008 by immunologist Dr Ahmed Al-Qahani and since then the unique mix used in the AQ serums has been patented so no other company can replicate the product or the results inspired by the products. So far so interesting and I couldn't wait to try their flagship treatment and product, the AQ facial using the recovery serum. Everything about Michelle, from her soft-spoken manner to her warm demeanour, whispered relaxation. I closed my eyes as Michelle used a cleanser followed by an alcohol wipe to ensure maximum cleanliness. Now that my face was squeaky clean, I was ready for the main attraction. 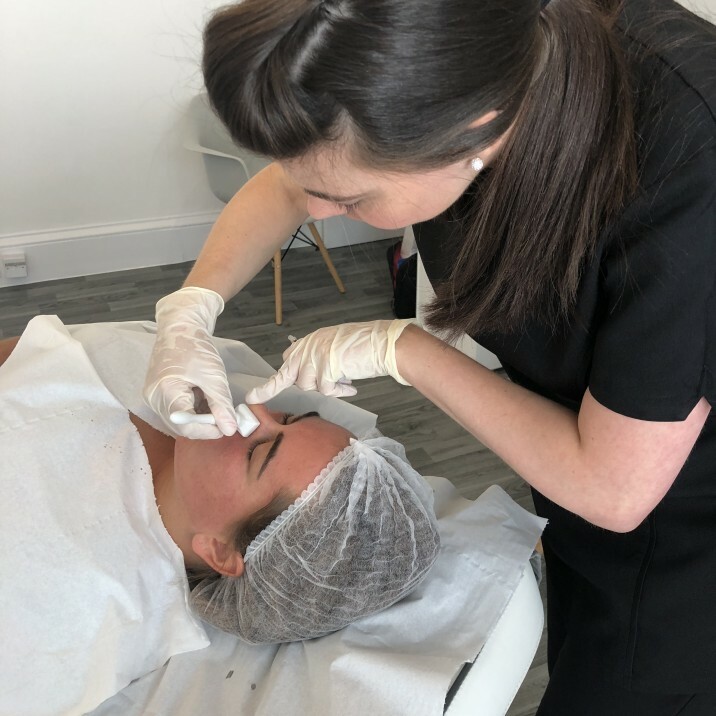 The AQ Facial is carried out by micro-needling and Michelle took a clean, unused dermastamp, which is a small rectangle stamp with lots of micro needles on it, and proceeded to fill a syringe with the AQ Recovery Serum. The entire process was more relaxing than any other facial I've ever experiencedThe recovery serum works by supplementing the skin with growth factors that can reverse the signs of aging and aid skin cell turnover "to achieve radiant, glowing skin." It is designed to enhance the skin’s natural restorative processes, promoting collagen production, healthy circulation and cellular renewal. A little serum was squeezed onto an area of my face, rubbed in and then the dermastamp was used over the area to create minute holes in the skin which allows the serum to penetrate. Now, I'm aware this sounds more like a torture session than a relaxing facial but I actually enjoyed the feeling of the tiny needles sinking into my skin - even over sensitive areas. The entire process was more relaxing than any other facial I've ever experienced and for a treatment primarily aimed at aesthetic results, it really did unwind me and give me that wonderful loose-limbed feeling that comes from an hour or two in the spa! And there's another bonus - the whole procedure lasted only 30 minutes which is fantastic for those who are always on the go. 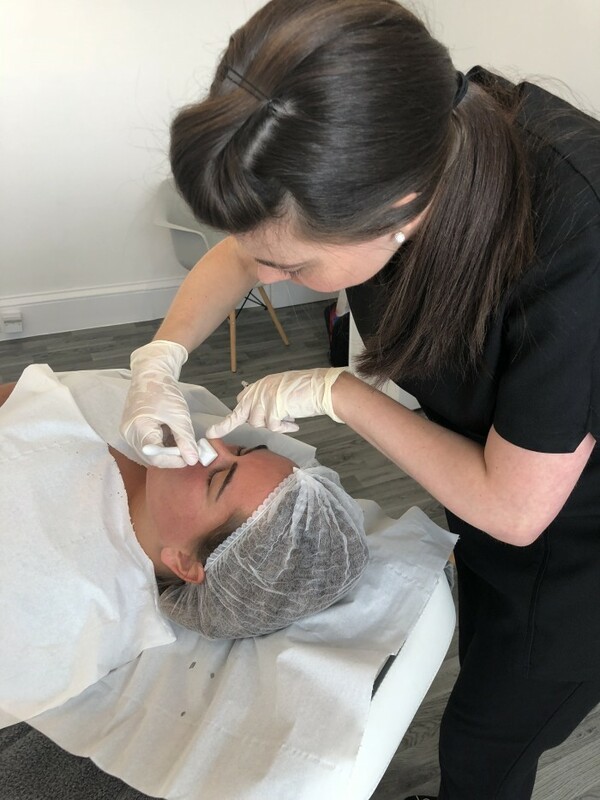 After the treatment, my skin felt incredibly tight and was a deep, rosy colour although the redness cleared up within a few hours - the tightness however, lasted well into the next day and felt fabulous! As instructed, I refrained from washing my face until the following morning and began my day as I usually would with my regular skin care routine. The only exception was that I added in the AQ Active Serum and Eye Serum and I continued to use these products for the next week. The results were undeniable. Like most facials, a lot of spots came to the surface initially but by the end of the week my skin tone was fantastic with many of my red blotchy areas neutralised and my saggy eyelids, (I do consider this a 'problem area' for me) had improved drastically. For me, the AQ Facial was an absolute game changer. I am thrilled with the results and can’t wait to go back! 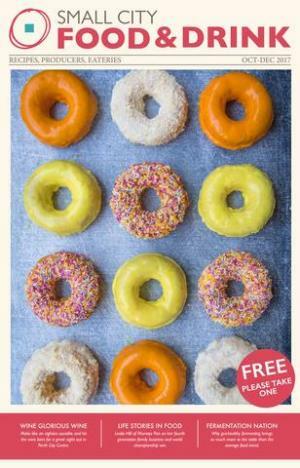 Megan was offered a free session in return for feedback or a review. The AQ Skin Solutions Facial is available at Tay Medispa, priced £299. 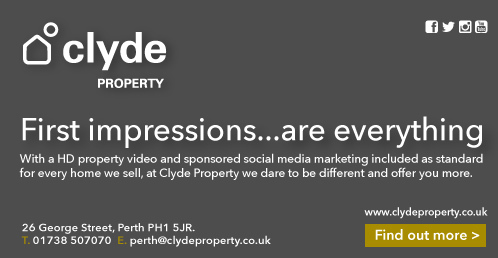 Visit our Tay Medispa directory listing for contact details.